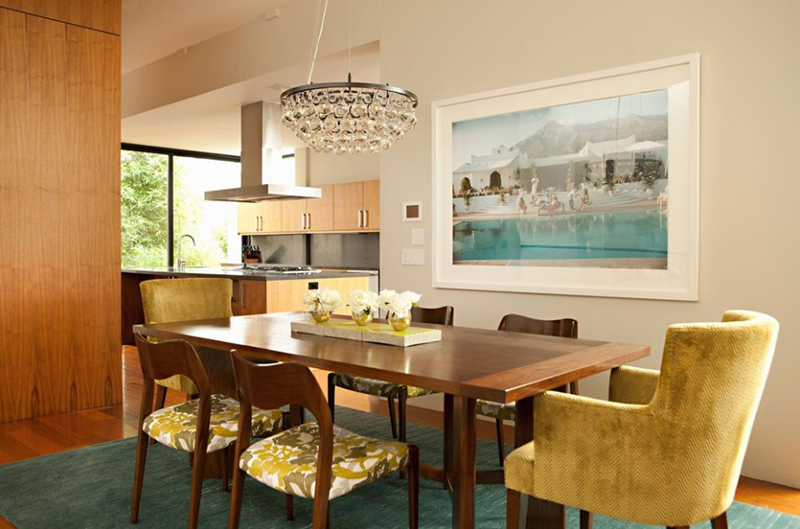 If you are hesitant to add printed chairs to your dining area, this post will change your mind. Oftentimes, homeowners prefer to use furniture with neutral colors or with plain colors. This way, it is easier for them to add decors and accessories. But of course, that is not the case all the time. 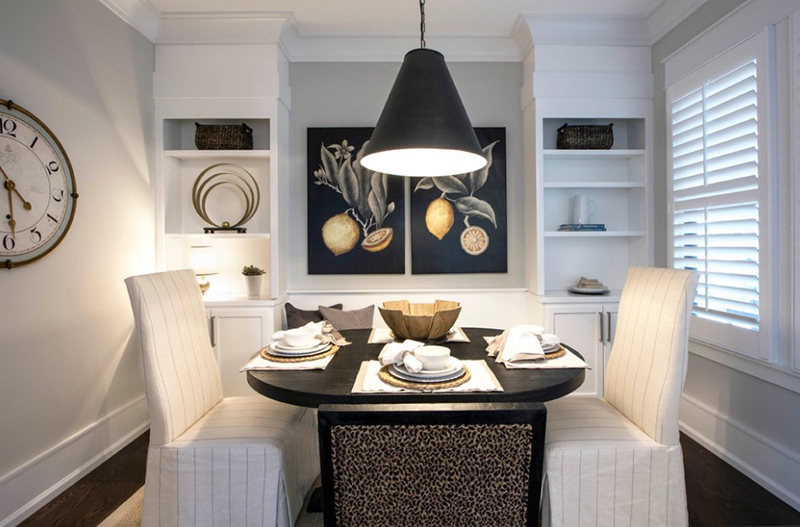 There are homeowners who add printed dining chairs in their dining areas. This brings an exciting touch to the space. While others use the same prints for all chairs, there are some who combine it with plain colored ones. 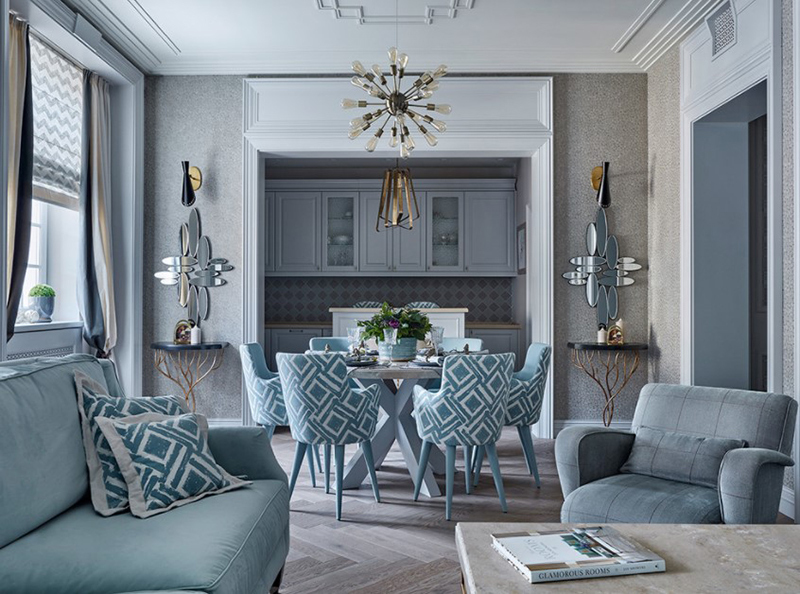 So, if you are thinking twice about using printed chairs, we are going to show you some dining spaces that made use of various patterns for their chairs. For sure, this will help you realize that it does not look ugly at all! Want to get some inspiration on how to do this? Scroll down below and check out what we have collated for you. These floral dining chairs are perfect in this white dining area. 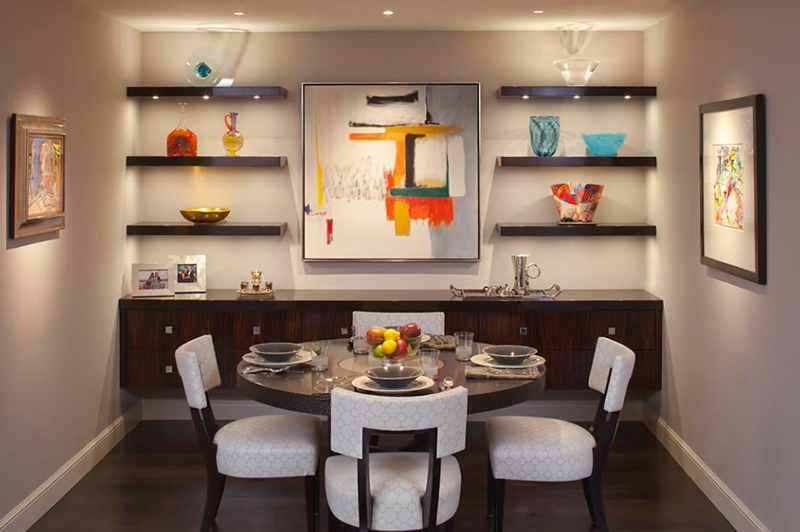 That beautiful curvy shelf adds appeal to the space too. 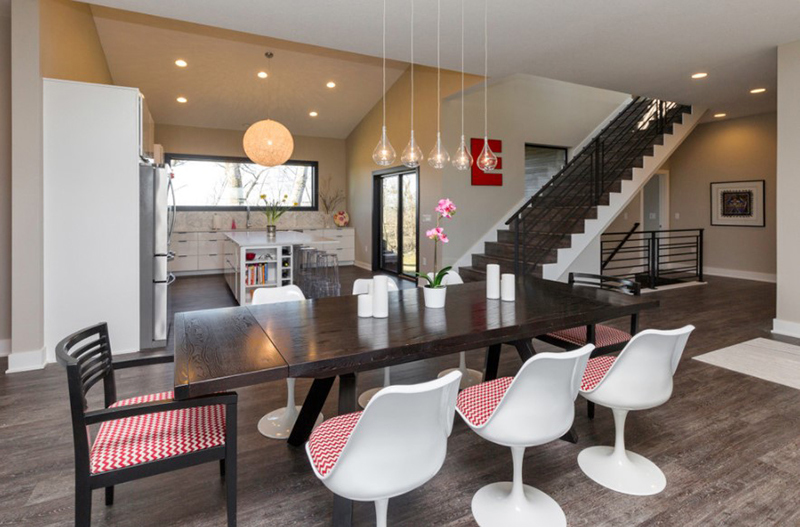 This contemporary space features two high back host chairs with stainless steel nail head trim. Notice that the other chairs have the colors red, white and black which can also be seen in the print of the host chairs. An eclectic combination of chairs are used here. Aside from the striped host chairs, there is a bench with lovely pastel prints too. Although the chairs are orange on the front, the back part has animal prints on it which gives this classy dining area a subtle wild look. A ranch style home was reinvented to have an open floor plan. 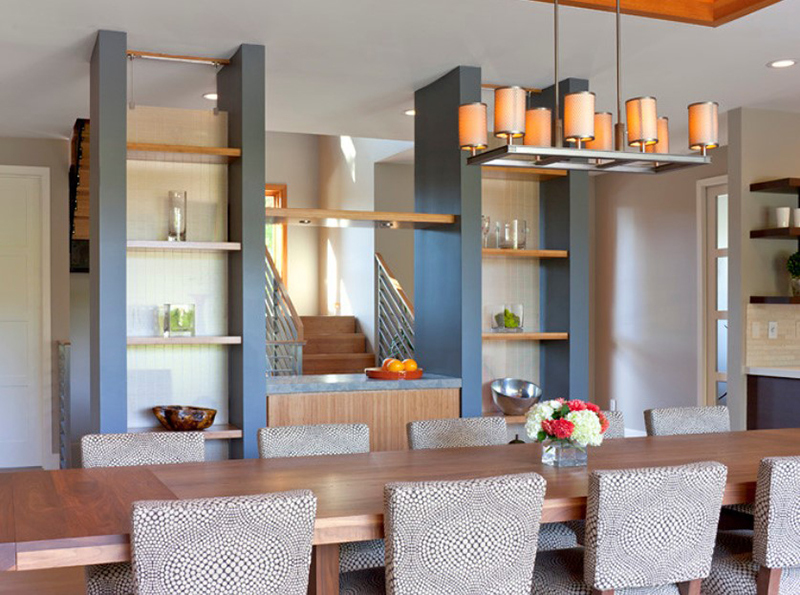 Part of the redesign is this dining room which was once a family room. If you want printed dining chairs that aren’t too much, this one is a good inspiration. Geometric circular prints are seen in these chairs which makes this place a little less formal. But overall, it still looks very classy. 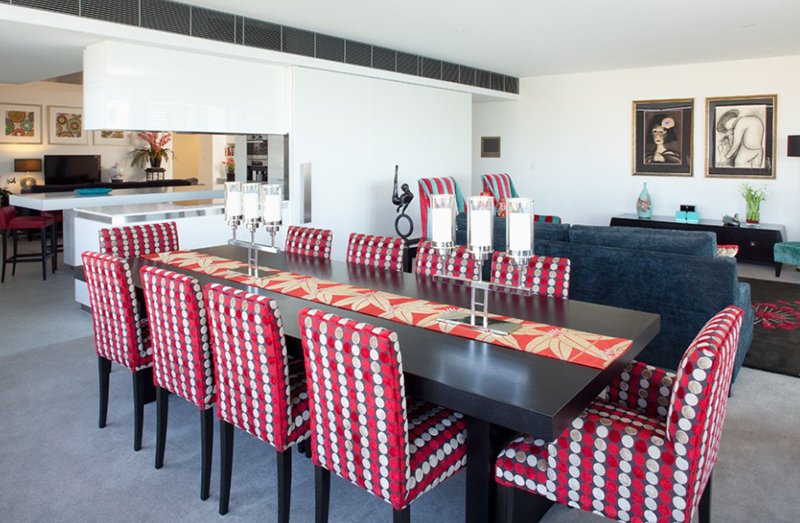 Maroon chairs with simple geometric prints are used for these dining chairs. It is a good way to bring color to this room. Did you know? Geometric patterns also look great as wallpapers in the dining room! Two printed high back chairs were added to this dining space to compliment with the wallpaper and to bring some artistic flair into the space. I love the idea that the throw pillows and the dining chair’s fabric match! Aside from that, you can see that the colors used in the entire house compliment each other. 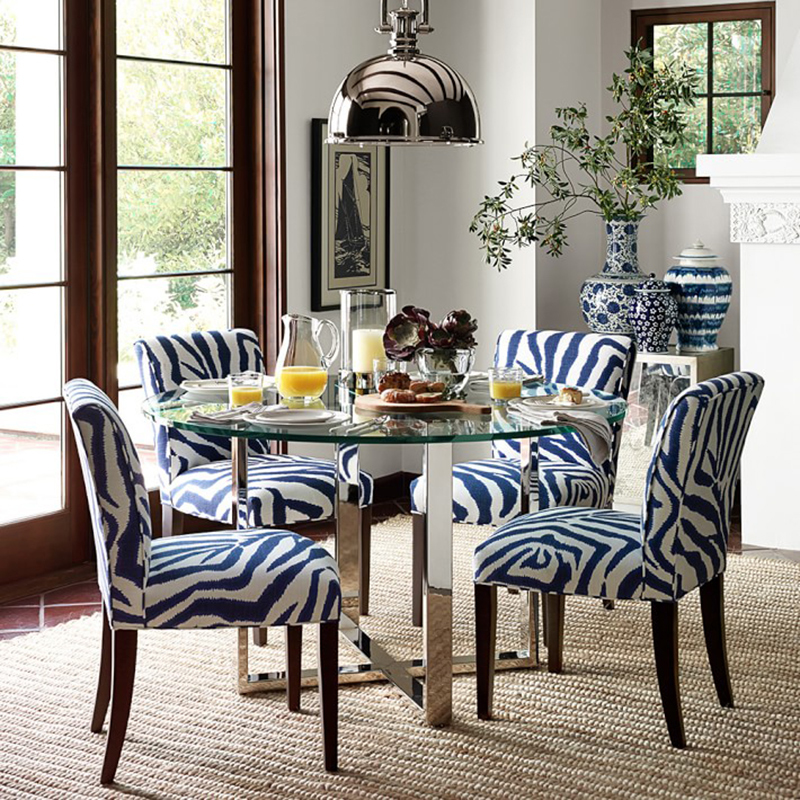 If you are the type who loves animal prints, then you can go for dining chairs like this. 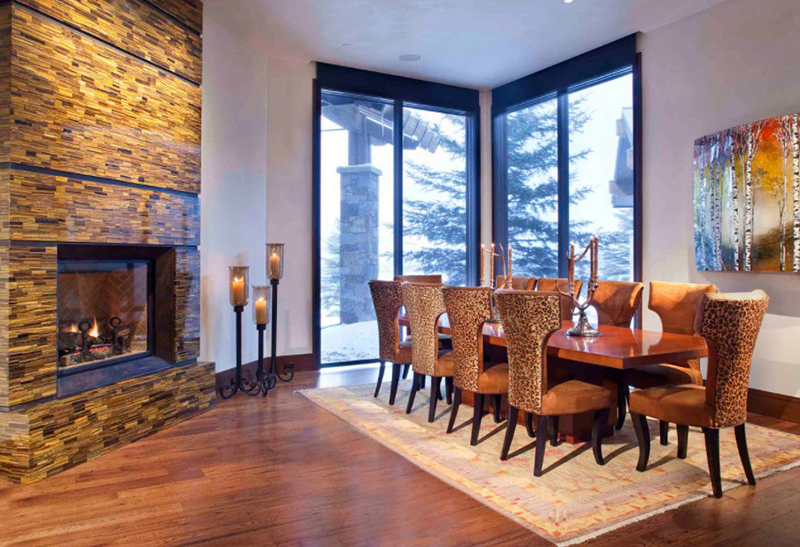 There are also other ways to use leopard accents in the dining room. Like the previous one, this also has animal prints on one of its chairs while the other two has thin stripes. You can combine different prints as long as they do not make the space look too heavy for the eyes. If you have wooden chairs, it is a good idea to use printed fabric for the padded seats. This will bring more color and lively appeal to your home. Although this one is printed, the colors used are black and white so that it will fit in the room no matter what is the motif. 14. Stained Wood + Color = Wow! 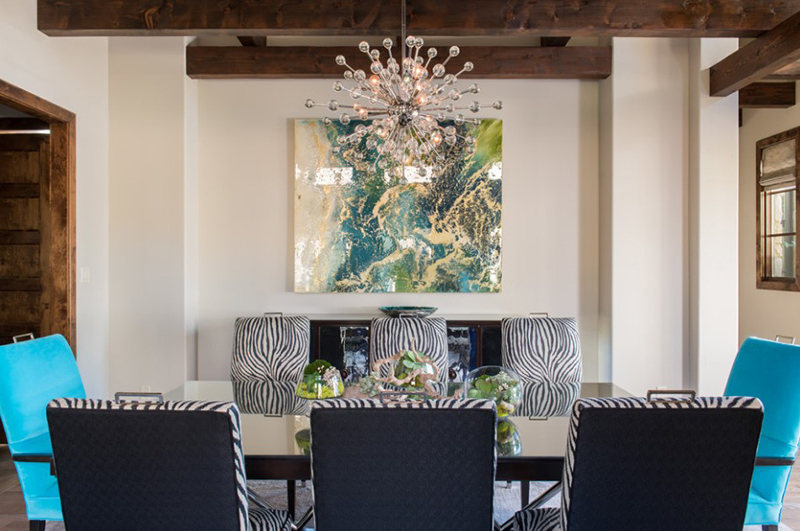 Another dining area with animal prints on it but this time it has zebra inspired prints. 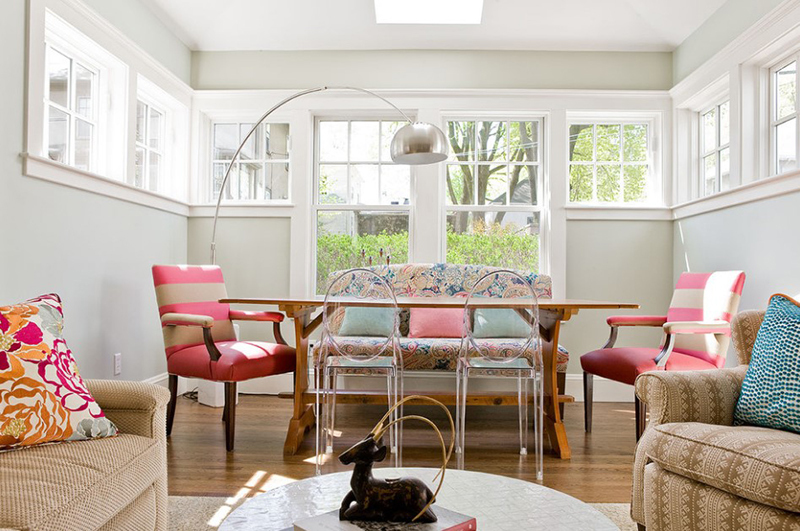 It is a good idea to add cyan chairs on both ends of the table to break the heavy patterns. This one has a similar idea to the previous dining area. The host chairs have damask prints on it while the rest of the chairs have white chair covers. It appears that animal prints are the favorite pattern for chairs since we have another room that uses it. Apart from the chairs, what makes this one beautiful are the mirror and stainless features. Although there are two different kinds of chairs here, what gives them a cohesive look is the chevron pattern on the padded seats. This is also a good idea! These velvet covered dining chairs add glam to the area especially the host chairs with flowers and leaves on it. 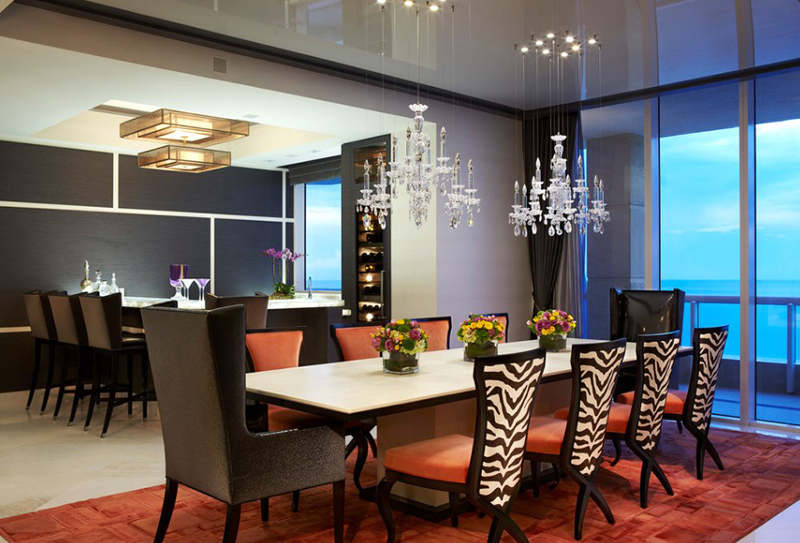 Of course, stripes will work well in the dining area too just like what we can see here. 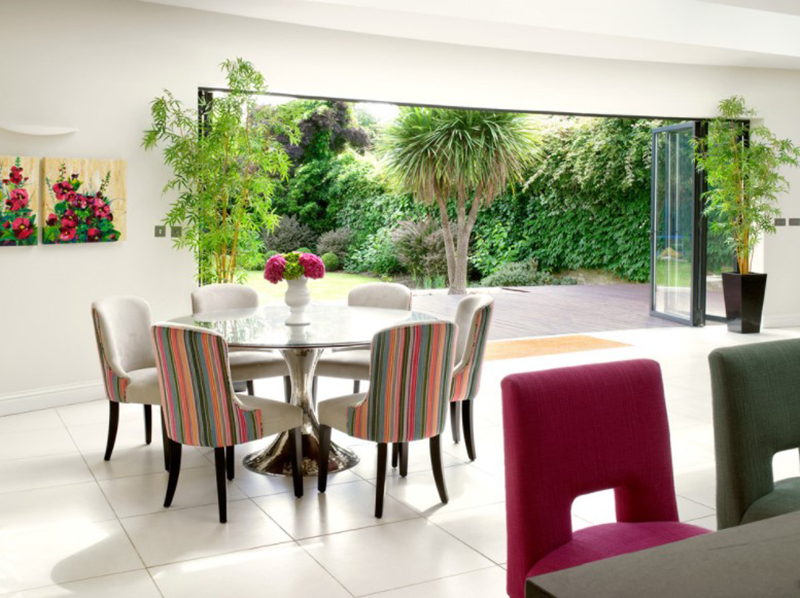 There are dining rooms that use stripes on their walls and it also looks beautiful! If you do not want to use too many colors, then opt for a black and white print like this one. It would also be nice if you add other chair designs too! 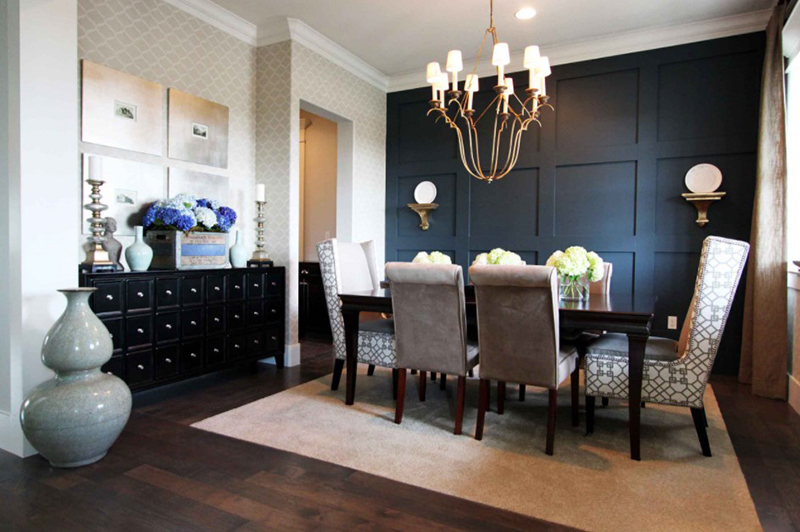 These dining areas are beautiful! Notice that each one has a different feel or aura because of their choice of colors and decorations. You can also see that there is a positive effect for adding printed chairs because it brought more life and creativity to the space. But of course, nothing is wrong with just using plain colored ones. Others even prefer to use white which looks great in any space. Do you think you will use printed dining chairs now? Or are you already using it?